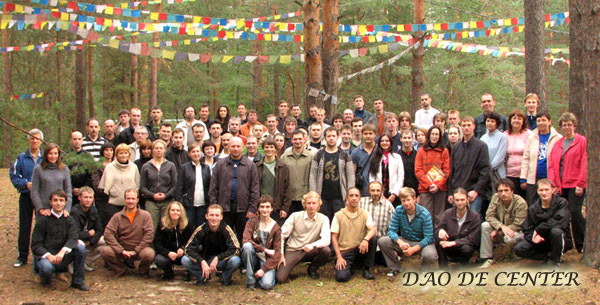 DAODE center presents: 2011 Summer Taoism Retreat high-intensity (Intensive) in the beautiful countryside of the Saint Peterburg region, Russia. The Wuliupai School of Taoist Alchemy opens its gates to the West for all those interested in truely perfecting the Tao! 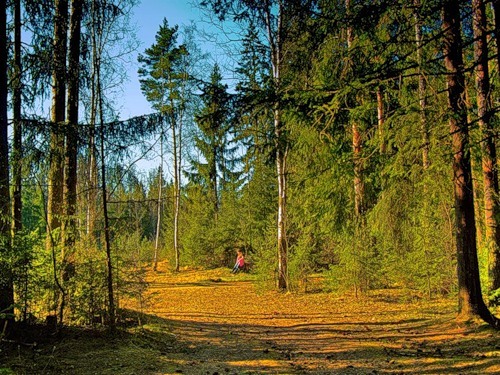 Venue of the Intensive - a picturesque location in Saint Peterburg region. Key lessons on taoist alchemy 3 times a day. Basic and Advanced Taoist training. The teoretical lectures on taoist alchemy, dialogues in evenings, answers to questions. Intensive program, a good environment and a feng shui selected location will maximize the progress in practice. Intensive seminar on Taoist alchemy and IMA has been a success! 2010 Summer Taoism Retreat: an intensive seminar on Taoist alchemy and IMA has been a success! An intensive seminar on Taoist alchemy and IMA took place on 22 -28 of August . Thanks to all participants of the Intensive for good practice and self-discipline on the last seminar! This time there were more than 110 people, the group became more united, and practice - stable. Thanks to everyone who helped in a preparation of this event. Key lessons on alchemy 3 times a day. Basic and Advanced Taoist training. Additional classes ZhiNeng QiGong (Chinese:智能气功) and medical qigong. Theoretical lectures on alchemy and the tea ceremony. Dialogues in the evenings, answers to questions. - Seminar on Xingyiquan style with Master Yan Liyun !!! Also at the Intensives planned additional disciplines in martial arts: Yiquan, Xingyiquan, Wu (Hao) style taiji quan and Yang style taiji quan, Immovable standing stance, Spiraling force, IMA KEY BODY SKILLS .